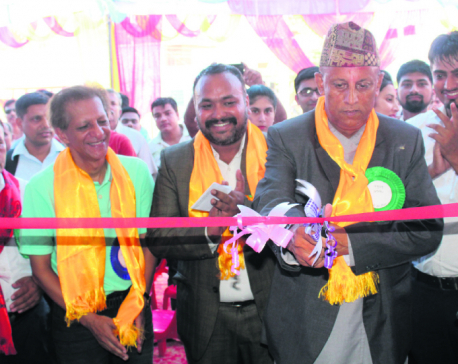 KATHMANDU, July 13: Jagdamba Motors, the authorized distributor of TVS two wheelers for Nepal, has unveiled five new products -- TVS Wego, TVS XL 100, TVS Dazz, TVS Victor and TVS King -- in the market. Issuing a statement, Jagdamba Motors, the five products were unveiled during the company's annual dealers meet in Kathmandu. "TVS has been holding its annual dealers meet in Nepal at Gokarna Forest Resort," the statement said, adding that the three-day event which began on Tuesday is being celebrated with the slogan 'Together We Grow Stronger'.